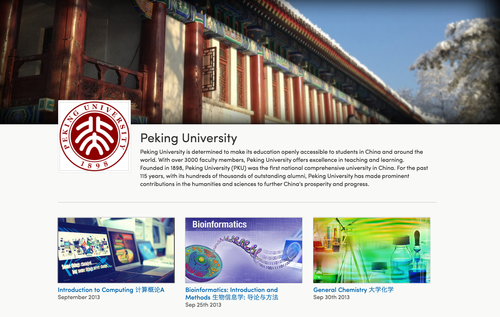 Welcoming Peking University (北京大学) to Coursera ! 欢迎北京大学加入Coursera大家庭! Today we are happy to announce that Peking University (PKU) will be joining Coursera as our newest institutional partner. 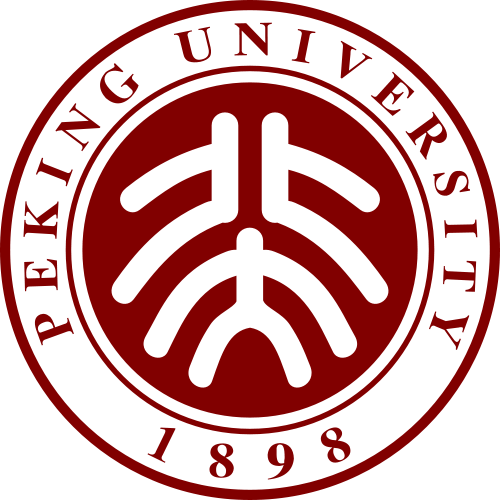 PKU is China’s first established modern national university, founded in 1898, and a prominent member of China’s C9 League – an alliance of 9 of China’s top universities. PKU’s 4,000 academic faculty educate more than 30,000 undergraduate and graduate students in a broad range of subjects, including medicine, engineering, humanities and management. PKU will kick off this partnership with three initial courses, all offered in Chinese, some with English subtitles, which start on September 30th. First, Dr. Ge Gao and Dr. Liping Wei will offer “Bioinformatics: Introduction and Methods,” which will introduce students to concepts and computational methods in the exciting interdisciplinary field of bioinformatics and their applications in life science. Additionally, Dr. Ge Li will lead a course titled “Introduction to Computing,” which presents students with the basics of computer programming and establishes scientific and technical knowledge needed for building programs. Finally, Prof. Jiang Bian will offer “General Chemistry,” intended for college freshmen who are majoring in science, medicine or engineering – or for anyone with a solid math, science, physics or chemistry foundation looking to learn more about the topic. Peking University is actively pursuing MOOCs for the benefit of Chinese speaking people all over the world, and we are honored to be able to help PKU achieve those goals. If you are interested in any of the three initial PKU courses, please sign up today!